See that tiny dot in the middle of that ring? That's Saturn. 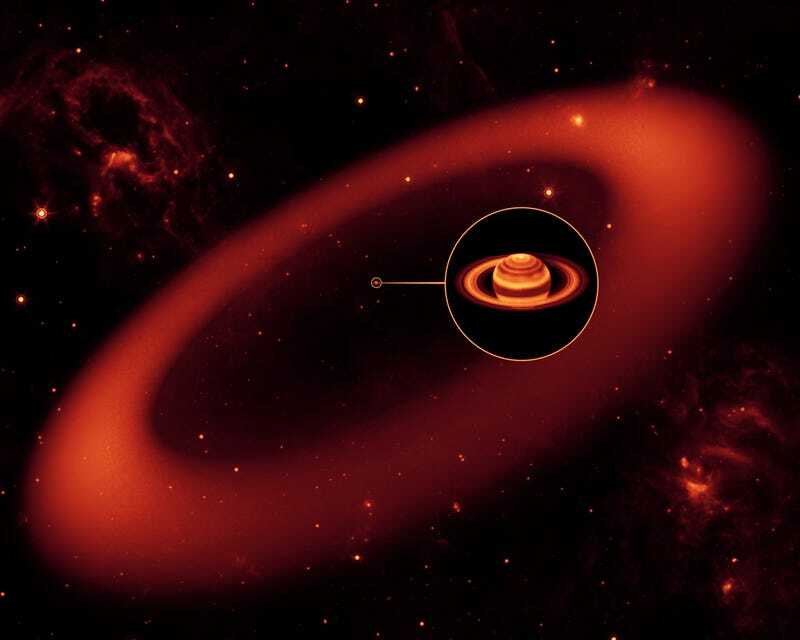 And the newly-discovered glowing ring is 13.4 million miles in diameter. The proverbial 800-pound gorilla has been discovered by the Spitzer Space Telescope, leaving every single astronomer speechless. The ring hasn't been discovered till now because it's so diffuse that it reflects very little sunlight. That makes it undetectable by optical telescopes. The particles in it, however, glow with heat radiation, which was captured by the Spitzer's infrared instruments.